I've seen phones with better cameras and more internal memory at the time of this phone's release. lakai, 02 Mar 2015accessing internet on the palm 650,is it possible?yup, its possible to access the internet. either use the built-in blazer web browser or use the opera mobile for palm. but you're going to have to use GPRS or EDGE (depending on your network) for data speeds as the Treo 650 doesn't have 3G or Wi-Fi capabilities. p.n.reddy, 19 Mar 2015 i want palm pda phones worked in india or not i have all so one phone, modl is palm treo 700 ... morefor one, the 700w is a CDMA phone. meaning, unlike GSM models (like the phones we use), it doesn't use or need SIM cards. also, the frequencies it uses are for the US telco Verizon and because it's a Palm smartphone,(for some reason Palm has aversion for combining cellular and wi-fi connectivity even though the OS its using, windows mobile, easily supports both) it doesn't have built-in wi-fi. so, your 700w is no more than just an unconnected PDA rather than a smartphone. accessing internet on the palm 650,is it possible? There is an eror in specs: Treo650 does support Java, just like any other PalmOS 5 device. Just install IBM Java VM for PalmOS.by the way, it's freeware and still not so hard to find. jb, 17 Dec 2014My question is does the treo 650 pick up WiFi?Don't expect treo series can use wifi. My question is does the treo 650 pick up WiFi? beng, 22 Feb 2013my palmtreo failed to continue setup number 3 of 5, what shall i dohi........,there's a restart button at the back of your treo phone.,it's a pin hole point,it's just for you to insert a pin in it and it will automatically restart itself. Anonymous, 25 Jul 2013how do i start my phone because i have tried to use the pen to point to da center but i has fa... morehi.........,try and hit on the centre point as much as it comes up. it will eventually takes you to the next set up stage. i have treo 650 but i have not been able to access the full function that's on it. 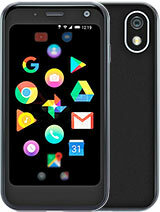 My last palm phone is veer, but I'm still love palm system,too bad that palm os not quite really support nowadays tech. I'm still have M505,Treo 180,180g,treo270 & centro in my collections. I need this mobile again....in blr where i can purchase?where is showroom?